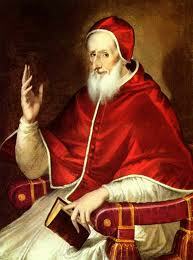 Pope St. Pius V was a history-making pope and one of the giants of the whole history of the Western world. He is called the Father of the Catholic Reformation and savior of Christendom. In 1556, a Dominican monk, Antonio Ghisliere, who prayed the rosary daily, was chosen pope in 1556 in a unanimous roll call vote because of his passionate devotion to Christ, the Church, his iron courage, relentless perseverance and spotless reputation. He begged not to be chosen but the whole Church joyfully celebrated his selection. Son of a poor muleteer, he was destined to follow in his father’s footsteps had not the Dominicans given him a good religious and secular education. A professor of philosophy and theology, he also held various positions of authority in his community. He was a living example of monastic virtues and the spirit of his order’s founder, St. Dominic. In 1556 he was made bishop. His zeal against heresy led him to be chosen to be an inquisitor of the faith in Italy and later for all Christendom. He began his pontificate by giving large alms to the poor. As pontiff he practiced the virtues he had is displayed as a monk and a bishop. A simple man, he only owned two coarse woolen shirts and dined on and egg and a few vegetables. Daily, he made two meditations on his knees in the presence of the Blessed Sacrament. In his 7 years as pope, he visited the hospitals and sat by the bedside of the sick, consoling them and preparing them to die. He washed the feet of the poor and embraced the lepers. An English nobleman was said to convert on seeing him kiss the feet of a beggar covered with ulcers. He addressed the cardinals exhorting them to reform themselves and their households and avoid the kind of life that had given so much scandal in the past to the humble members of the church. obliging his bishops to reside in their dioceses and the cardinals to lead lives of simplicity and piety. He appointed Borromeo as the head of a special commission or the reform of the clergy as he had already done so in Milan. 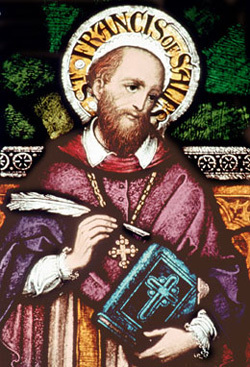 Consequently, a cardinal who had left the church and married, was thrown out and six heretical bishops were removed, as well as one bishop who stormed out on Christmas day, denouncing the pope, throwing down his mire and staff and stormed out of the church, mounting a horse and riding away to join a Calvinist army. Also, a whole religious order was also suppressed. undertaking that would require more than a full generation to complete. Not only did he reform the religious orders, but he had imprisoned bishops who refused to live in their dioceses, insisted on regular Sunday religious instruction, regular attendance by children to instructions, establishment of seminaries, ordered bishops to visit their parishes and make regular visits to Rome. In 1570, he approved of a common liturgy and missal. During this period of tremendous religious and political upheaval, the Church was fortunate to have this powerful and persuasive leader. In Germany he supported the Catholics oppressed by the heretical princes; in France he encouraged the League by his counsels and with financial aid; in the Low Countries he supported Spain. The Pope often said that Philip II of Spain was the only king upon whom the Church could consistently depend. He eventually excommunicated Elizabeth of England and supported the cause of her imprisoned cousin, Mary Stuart, Queen of Scots, writing her in prison to console her. Philip II sent the Spanish Armada to capture Elizabeth and replace her with the legitimate descendant of Henry VII. The two great and constant worries for him were the struggle against the Protestants and the Ottoman Turks. He constantly tried to unite the princes of Christendom against their hereditary enemy, who sought to destroy Christendom. In 1570 Suleiman attacked Cyprus threatening all Christendom, he did unite the forces of Spain and Venice. Don John of Austria, the commander-in-chief of the expedition, had in his flagship a replica of Our Lady of Guadalupe. On the day of the Battle of Lepanto, October 7, 1571, the pope was working with the cardinals, when, suddenly, interrupting his work opening the window and looking at the sky, he cried out: “A truce to business; our great task at present is to thank God for the victory which He has just given the Christian army”. This simple, devout and Christlike pope is remembered for his rare virtue and an unfailing and inflexible integrity. Note: See post 9/11 in Category: History and post Bagels, Croissants, Capuchino and Shish-kebobs in Category: Historical Tid-bits. Francis belonged to an aristocratic family. He learned rhetoric and humanities from the Jesuits. Originally a lawyer, Francis followed God’s call.